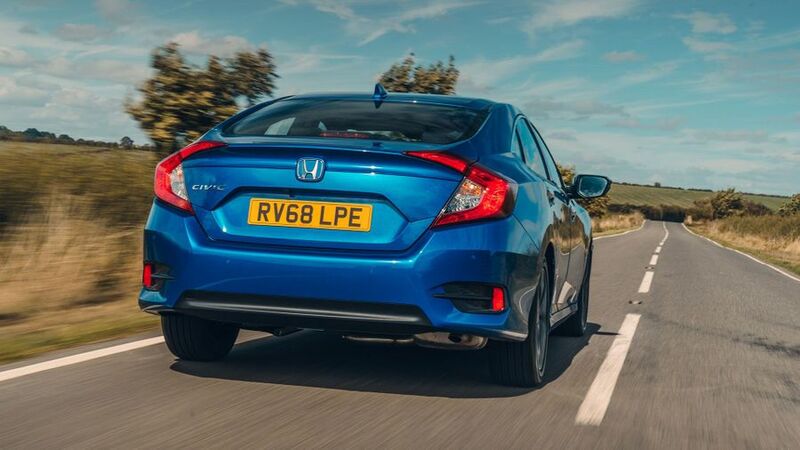 The Honda Civic Saloon is a very good car in a number of areas, but because small saloons don’t really do it for the average hatchback-obsessed UK car buyer, its appeal is likely to remain very limited. It’s such a good all-rounder, though, that if you happen to be one of the few people it appeals to, then it’ll probably to serve your needs extremely well. 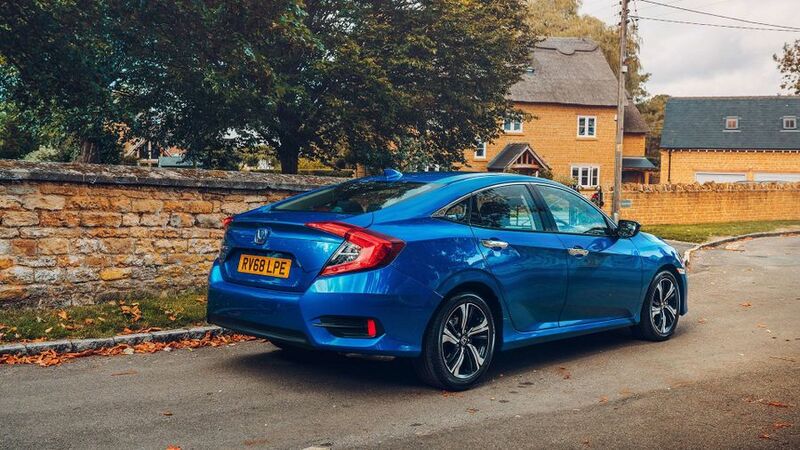 Saloon cars based on regular family hatchbacks are often rather awkward, frumpy-looking things - and that’s certainly been the case with Civic Saloons of old – but the latest Civic Saloon actually cuts some pretty smart lines. There’s less of the visual clutter you get on the hatchback, with not so much in the way of fake plastic air intakes and hard-to-justify spoilers. The metallic grille strip between the headlights is also different to the glossy black one on the hatchback, which helps the car trade a sporty look for a more civilised one. More importantly, though the sleek shape of the rear end makes the overall design look coherent, rather than just looking like a hatchback with a bit of extra iron grafted on. There isn’t much of a visual difference between the cars at either end of the trim range, either. The SE and SR are pretty much indistinguishable aside from an inch of diameter on their respective alloy wheels, while all that really marks out the top-end EX is the LED headlamps and foglamps. 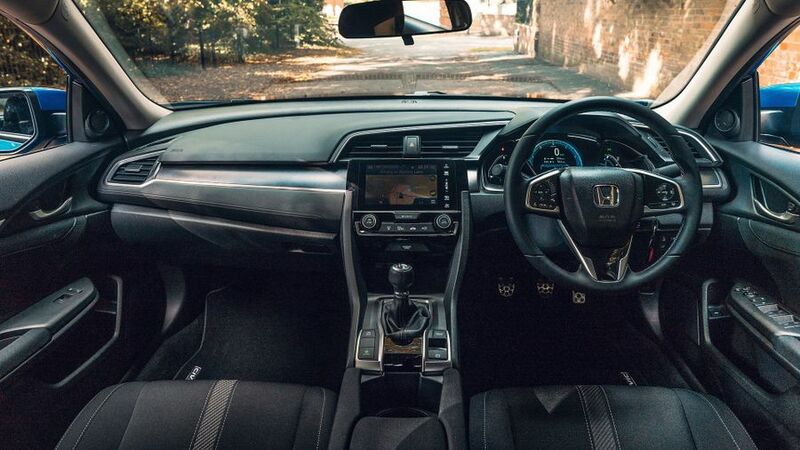 You’ll struggle to tell the Civic Saloon’s cabin apart from the hatchback’s, but that’s no bad thing. The driving position is spot-on, thanks to controls that are located straight in front of you and lots of adjustment in both the seat and steering wheel. Life is made even easier by the simple, logical dashboard layout, which means your instruments are nice and easy to read and the various buttons and dials are easy to find and use. A touch-screen infotainment system does away with the need for too many dashboard buttons, too, but unfortunately, the system isn’t as user-friendly as everything else. The menus are illogical, the screen transitions are slow and the graphics are dated. Don’t go placing too much faith in the sat-nav instructions, either. Your rear visibility is a little bit limited, too, due to small back windows, but it’s better than in the hatchback as you don’t have a needless rear spoiler that slashes across your rear screen. On the quality front, the Civic feels very solid, and there are soft-touch materials in most of the important places. There are one or two slightly drab and grainy finishes that mean it doesn’t feel as expensive as its poshest rivals, and the dark colour scheme doesn’t help, either, but you won’t feel too short-changed. In the passenger compartment, you won’t notice a whole lot of difference between the hatchback and saloon versions of the Civic. There’s lots of rear legroom, but although rear headroom will be fine for most, it will be a little tight for particularly tall passengers. 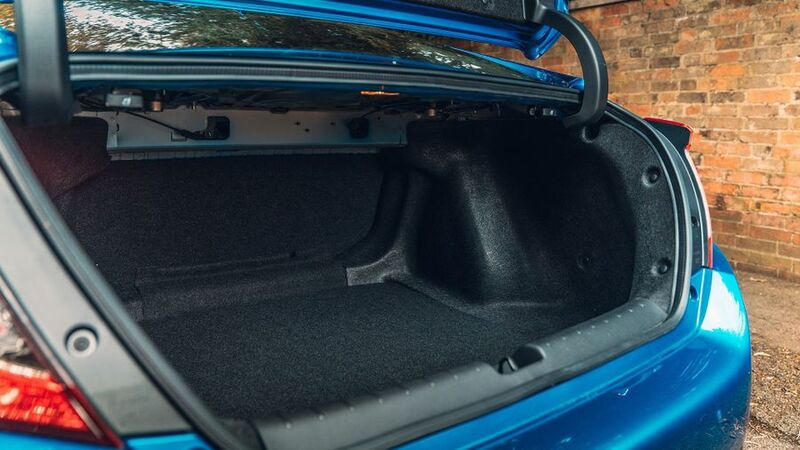 Obviously, where you do notice the difference between saloon and hatchback is in the boot, and despite the hatchback being among the leaders in its class for boot space, the saloon does even better, with a volume of 519 litres. It doesn’t have the same odd ridge in the boot floor, either, meaning you get a flat, level loadspace. However, things aren’t so positive in other ways. There’s a bit of a lip that you’ll need to lug heavy items over, and the boot opening is significantly smaller than the hatchback’s. Dropping 60:40 split the rear seats (which can only be done with catches in the boot, not from the cabin) leaves you with a hefty step in the load area, and the opening between the boot and passenger compartment is small and oddly shaped. There’s no catch on the bootlid either, meaning you have to open it either with the key or with a button on the driver’s door. That might just drive you nuts. 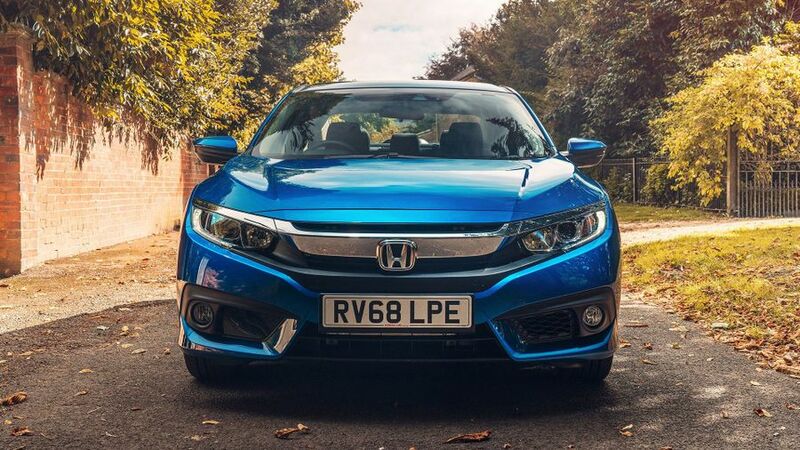 If you happen to find yourself in a Honda dealership test driving both the Civic Hatchback and the Civic Saloon, you’ll notice that the Saloon delivers a much more easy-going driving experience. The suspension feels a little softer, giving you a slightly smoother, waftier experience over most surfaces, and that contributes to an impressive level of comfort. Yes, the Saloon does trade a little sharpness in the pursuit of this comfort, so it doesn’t change direction with the same precision when you get to a set of bends, but we don’t see that being a problem for most buyers, and it still feels stable and secure, with plenty of grip and responsive steering. You get a clever adaptive suspension on the top-spec model, and there is an appreciable difference between the comfort and dynamic modes. It doesn’t, however, make the car any better to drive, so we wouldn’t advise making the upgrade based on that alone. The Civic Saloon comes with a choice of two engines: a 1.0-litre turbocharged petrol with 129 horsepower; and a 1.6 diesel with 120 horsepower. Both are good, but for most private buyers, there’ll be no need to look past the cheaper entry-level petrol. It’s impressively smooth for a three-cylinder, and it doesn’t get too raucous on the noise front, even when you thrash the pants off it. Best of all, though, it stays perky and eager right throughout the rev range, and this helps keep you moving along without too much effort. The diesel will be the pick for company car drivers thanks to its lower official CO2 figures. The power comes easily if not all that quickly, so it’s a flexible – if not flabbergasting – performer. That said, while it sounds a little clattery compared with the petrol, it’s pretty smooth and quiet compared with the diesel engines found in some rivals. The diesel can be paired with a nine-speed automatic gearbox instead of the standard six-speed manual, and it slurs though the gears in a smoothly and reasonably quickly. However, performance is slightly dented compared with the manual because it shifts up slightly earlier than your average driver would, in the pursuit of economy. The petrol can be specified with a continuously variable automatic transmission (CVT), but we haven’t tried this yet. 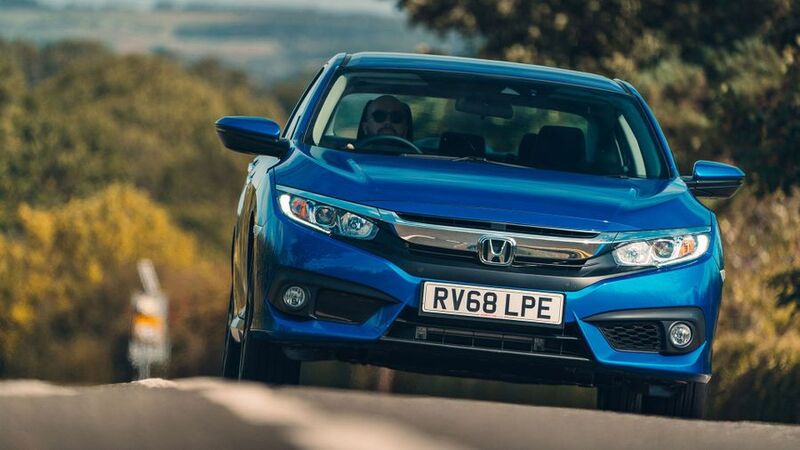 The Civic Saloon only costs a few hundred pounds more than the hatchback, so like that car, prices are reasonably achievable without being particularly cheap. Importantly, prices are bang-on with those of its only direct rival - the Mazda 3 Fastback – so from that point of view, prices are competitive. The Honda’s running costs have the measure of the Mazda’s, though. Stronger resale values mean it won’t shed its value quite as quickly during your ownership period, and while it’s a shade pricier to insure, the Civic also leads its rival on CO2 emissions (and therefore tax bills) and fuel economy. The diesel is the star of the show with an average economy of more than 80mpg, but beware that specifying the automatic gearbox will drop that to around 70mpg. The petrol gives you around 60mpg, or a fraction more if you pair it with the CVT. It’s no accident Honda has a reputation for reliability that is the envy of the motor industry. Take a look at pretty much any reliability or customer satisfaction survey going, and you can bet Honda is on or near the top of the list. 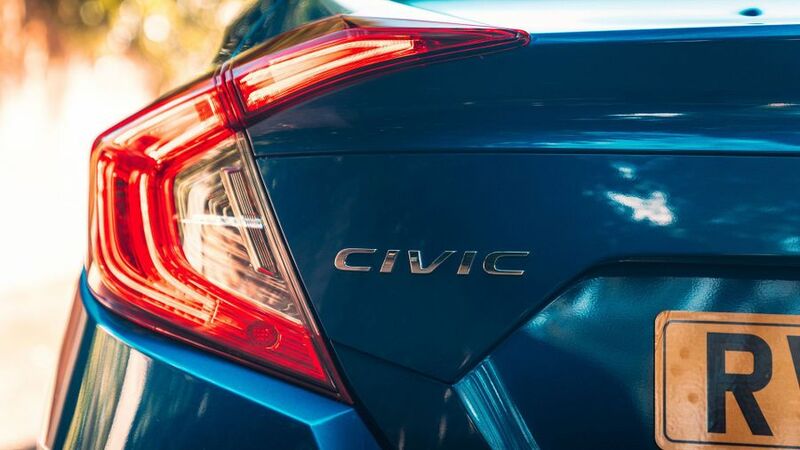 That’s certainly the case with Warranty Direct’s Reliability Index, and the Civic achieves a super-impressive score as an individual model. 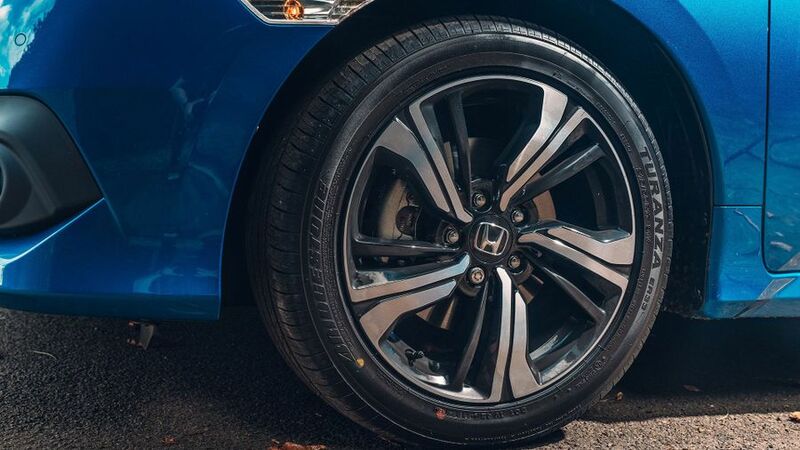 Honda as a brand also scores above average in JD Power's 2018 Vehicle Dependability Study. If you are unlucky enough to buy one of the few Hondas that does go wrong, you’re covered by a three-year warranty. 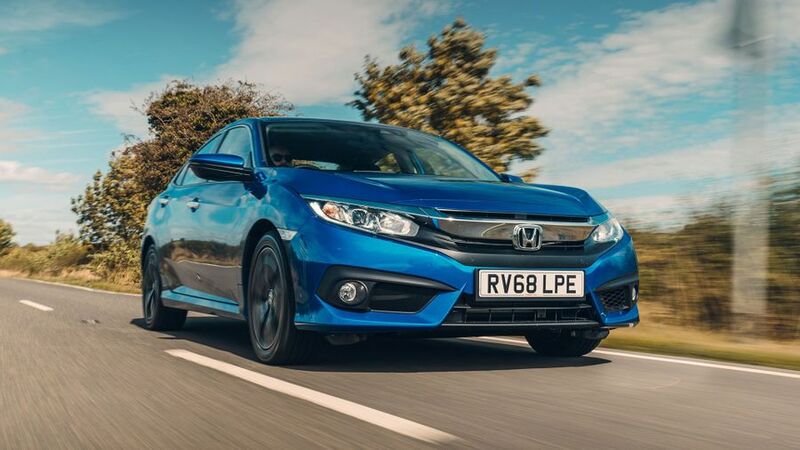 The latest Civic hatchback has earned the maximum five stars in crash tests by the expert bods at Euro NCAP, and considering that it comes with the same impressive array of standard safety equipment, we can’t see the Saloon performing any differently. Each and every version has a vast suite of electronic driver aids that includes Autonomous Emergency Braking, Lane Departure Warning, Lane-Keep Assist, Traffic Sign Recognition, Adaptive Cruise Control and a Forward Collision Warning, and that’s on top of the usual measures you get, like the collection of airbags, the stability control, and the tyre pressure monitoring system. The loftier trims also add more driver aids in the form of a Blind Spot Monitor with Rear Cross Traffic Alert. Specify your car with one of the automatic gearbox options, and you also get a low-speed following function. Unsurprisingly, the trim levels available on the Civic Saloon mirror those found on the hatchback. 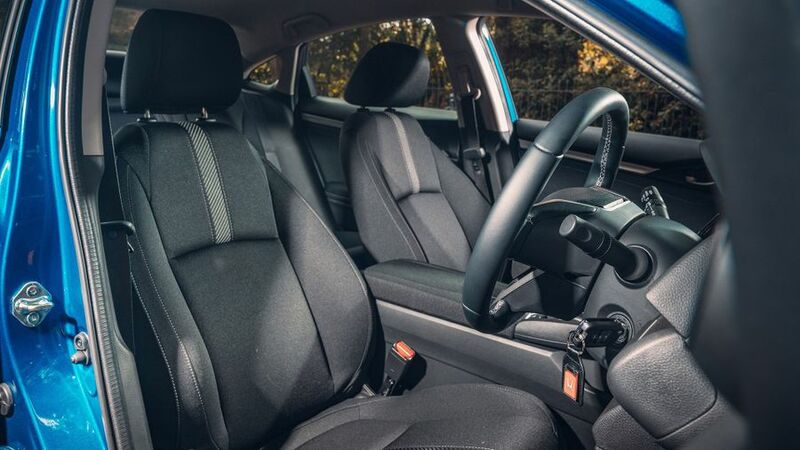 SE comes with all the essentials such as alloy wheels, air-conditioning, a Bluetooth phone connection, a DAB radio with USB ports, front and rear parking sensors and steering wheel-mounted audio controls. SR grade is the one we’d recommend because it adds leather-covered controls, automatic wipers, privacy glass and a touch-screen infotainment system with sat-nav, and a rear parking camera. EX trim adds keyless entry, leather upholstery, an adaptive suspension system and an opening glass roof, but it takes the price rather high. 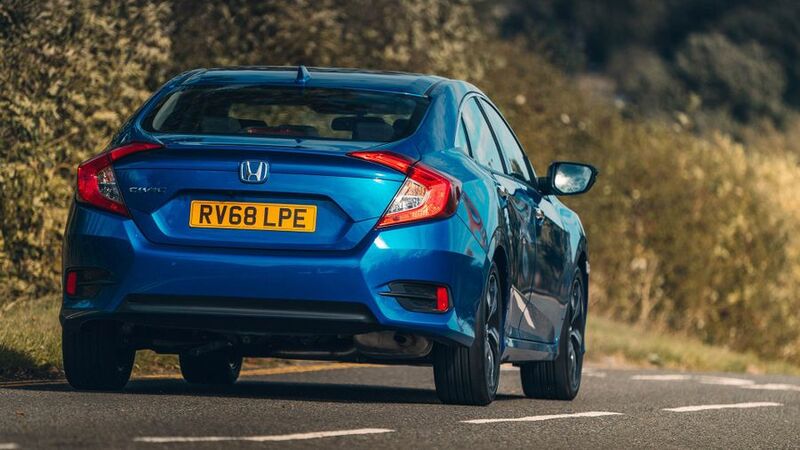 Because you like the qualities that the Civic hatchback offers, but you favour an understated look rather than a brash, in-your-face one. Or maybe you’re simply an avid fan of the old Accord saloon and have been waiting for Honda to plug that particular gap in their product offering. Either way, demand for the Civic Saloon will be limited, but for the few people it does suit, it’ll suit them very well. Like its hatchback sibling, it’s generally a very good car.